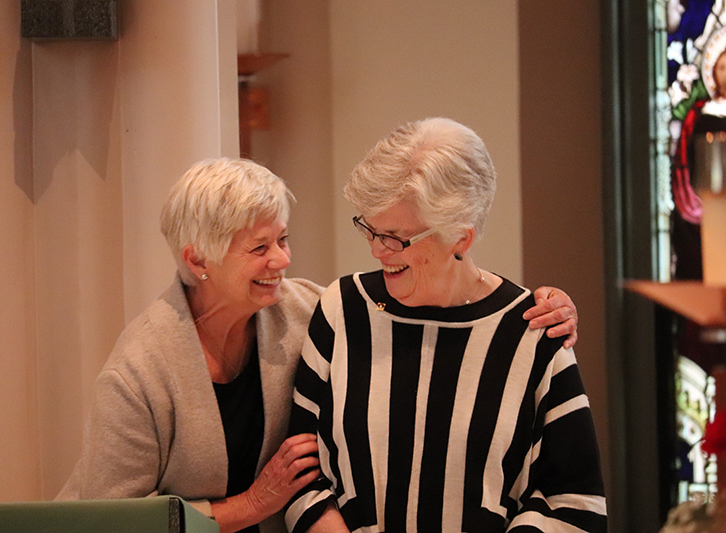 Associates Dee Joyner, left, and Kathleen Woods are all smiles after Kathleen was formally accepted into Associate Life March 1, 2019. 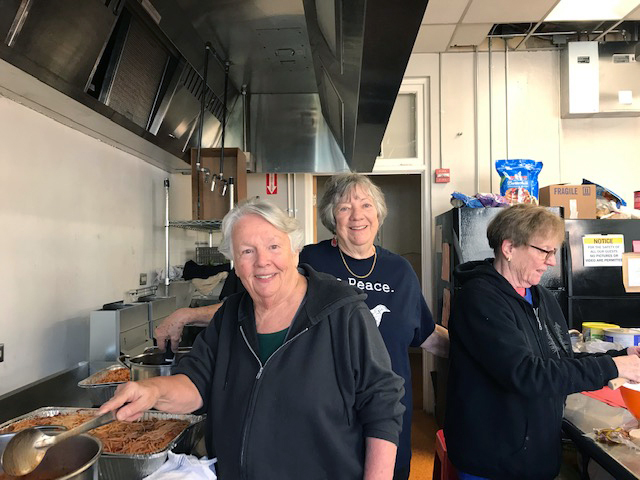 Sr. Norah Guy, Associate Joanna Magee, & Sr. Joye Gros making one of many meals in a refugee center in El Paso, TX. 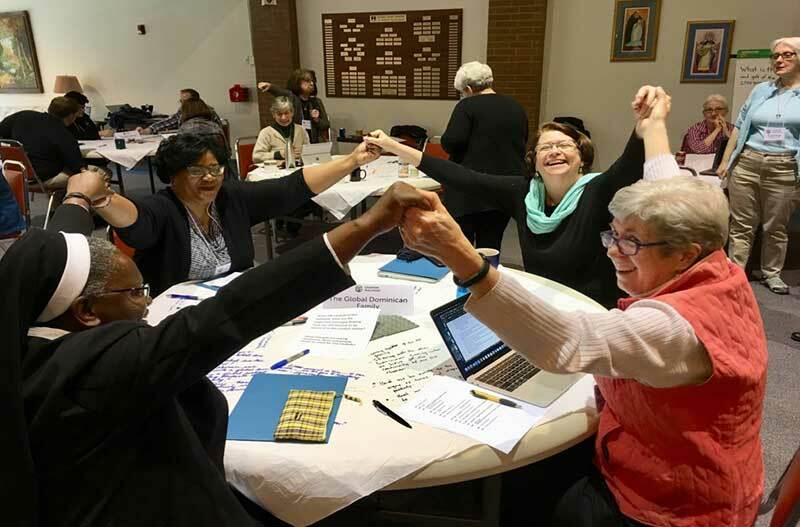 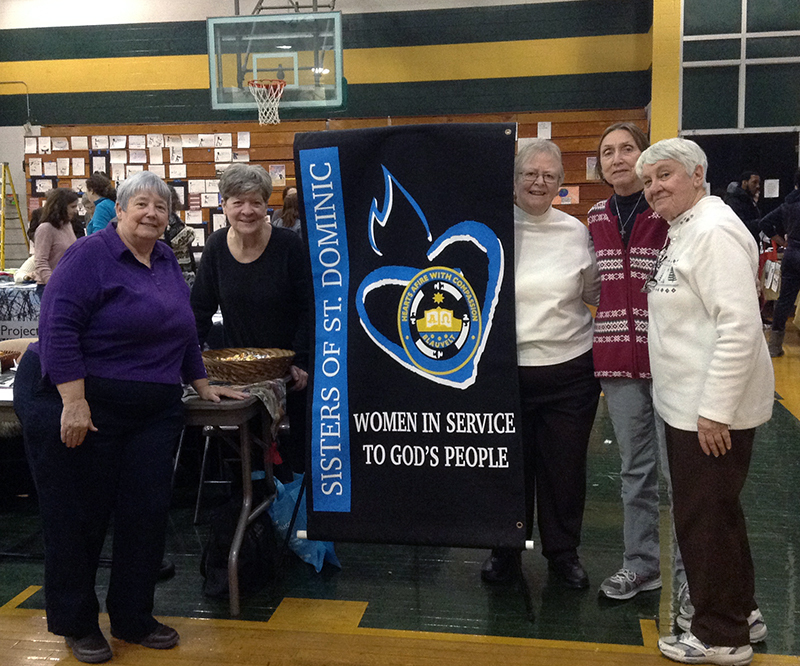 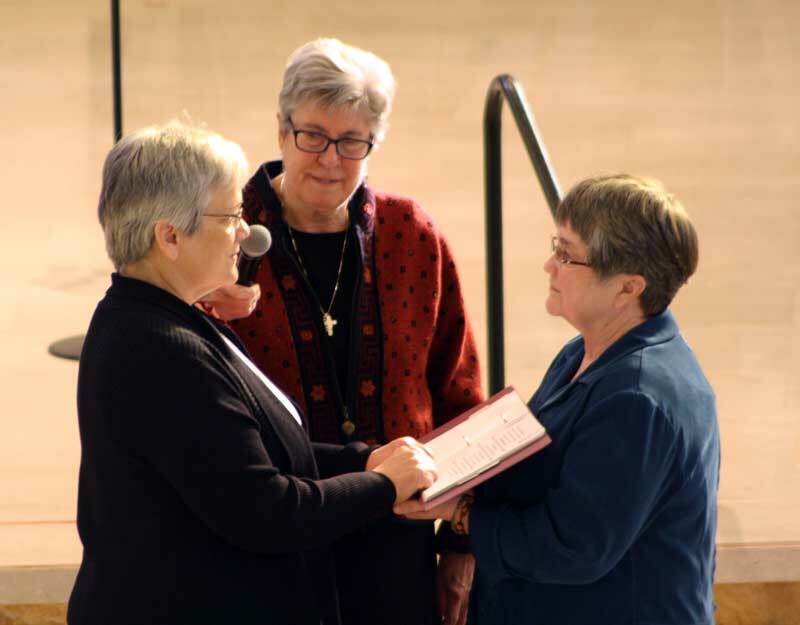 From left: Sr. Kathy Flynn, Sr. Mary Ann Nelson, and Prioress Toni Harris.